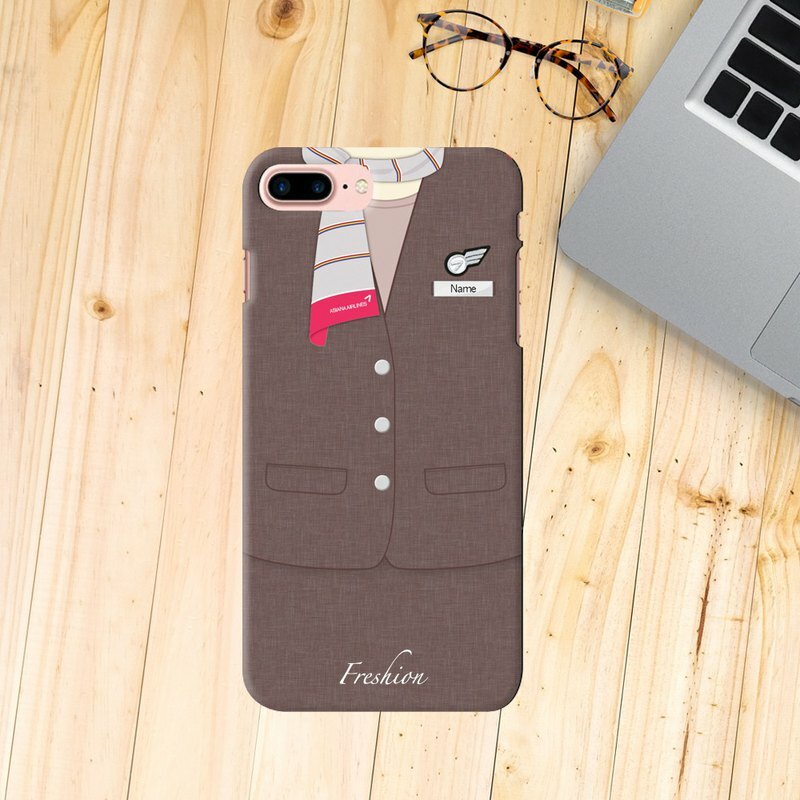 Personalised Asiana Airlines Korea Airlines Air Hostess Flight Attendant Phone Case as a special gift for your beloved. Custom Made Asiana Airlines Korea Airlines Air Hostess / Flight Attendant / Flight Purser Phone Case. Make it personal!! You can add the name on the case. Perfect Gift for your friend / beloved who is Flight Attendant Personalised Air Hostess / Flight Attendant Print Hard Case / Soft TPU Case for iPhone, Samsung and other popular mobile models This case is specifically designed for use with the iPhone, with openings for all the buttons and the camera, and work with those particular models on any network (Verizon, AT&T, etc.) "This design is available for: iPhone X, iPhone 8, iPhone 8 Plus, iPhone 7, iPhone 7 Plus iPhone 6/6s, iPhone 6/6s Plus, iPhone 5/5S , iPhone 5C, iPhone 4/4S Samsung Galaxy Note 3, Samsung Galaxy Note 4 , Samsung Galaxy Note 5, Samsung Galaxy Note 7, Samsung Galaxy Note 8, Samsung Galaxy Note 9, Samsung Galaxy S3 Samsung Galaxy S4, Samsung Galaxy S5, Samsung Galaxy S6, Samsung Galaxy S6 edge, Samsung Galaxy S6 edge Plus, Samsung Galaxy S7, Samsung Galaxy S7 edge, Samsung Galaxy S8, Samsung Galaxy S8 Plus, Samsung Galaxy S9, Samsung Galaxy S9 Plus, Freshion provide 2 case type for your choice: TPU Soft Clear Case This case is designed for your Smartphone, with openings for all the buttons and the camera, and work with those particular models on any network (Verizon, AT&T, etc.) 1) Made from flexible, durable TPU. 2) Slim and also protective design for your Smartphone. 3) Good Protection for both back and front side of your Smartphone 4) Shock absorb and Impact Resistant 5) Non-slip design for better touch feeling 6) Image scratchproof and waterproof, image never fade Hard Plastic Case This case is designed for your Smartphone, with openings for all the buttons and the camera, and work with those particular models on any network (Verizon, AT&T, etc.) 1) Made from durable polycarbonate plastic. 2) Slim and also protective design for your Smartphone. 3) Latest Photo printing technology, NOT sublimation technology. 4) Matte surface image, better touch feeling. 5) Image scratchproof and waterproof, image never fade.